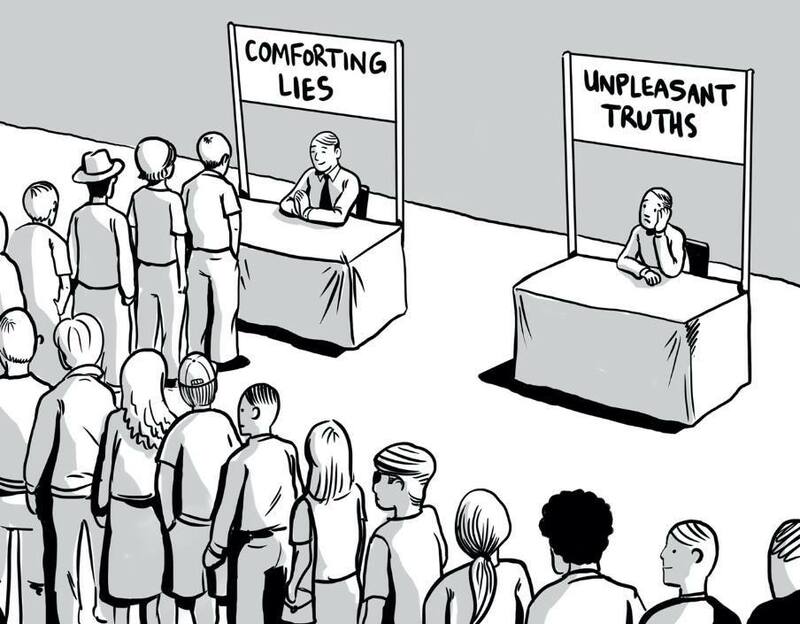 Comfortable Lie: Healthcare is a right. The US is the only developed country without universal healthcare. Obamacare reduced the gap. We must close that gap, but the Republican just tried (and failed) to open it back up. Painful Truth: We have the right to life, but not the right to live at the expense of someone else. We have no more right to use the coercive power of government to take our neighbors’ money than we do to rob our neighbors in person, regardless of whether the loot is to be used to pay for healthcare. Universal healthcare has been made to sound wonderful by the people who stand to gain the most power by implementing it; and it has been made to sound ghastly by the people who stand to gain the most by not having it. The fact that the US is the only developed country that does not have universal healthcare is irrelevant. We have been the first, or only, country to do, or not do, many things – one of which is to be the first nation established on the principles of individual liberty and freedom – which require individual responsibility and self-reliance. Reliance on the state leads to stagnation and mediocrity and the erosion of liberty and freedom. Comfortable Lie: “fake news” and “alternative facts” are a recent phenomenon born of the 2016 election and social media. Painful Truth: All news is fake; some news is useful. This has been the case since the days of the town crier and before. Events that make the news involve, and/or are witnessed by, people – some of the least effective or reliable data recording and play-back devices known! (Remember the game called “telephone” from grade school? Line everyone up and whisper a story into the first kid’s ear, then have him whisper it to the second kid, who whispers it to the third, and so on. By the time the story gets to the last kid, it’s unrecognizable.) Sometime the “fakeness” of the news is due to misconceptions; sometimes it is deliberate, as mentioned in previous posts. 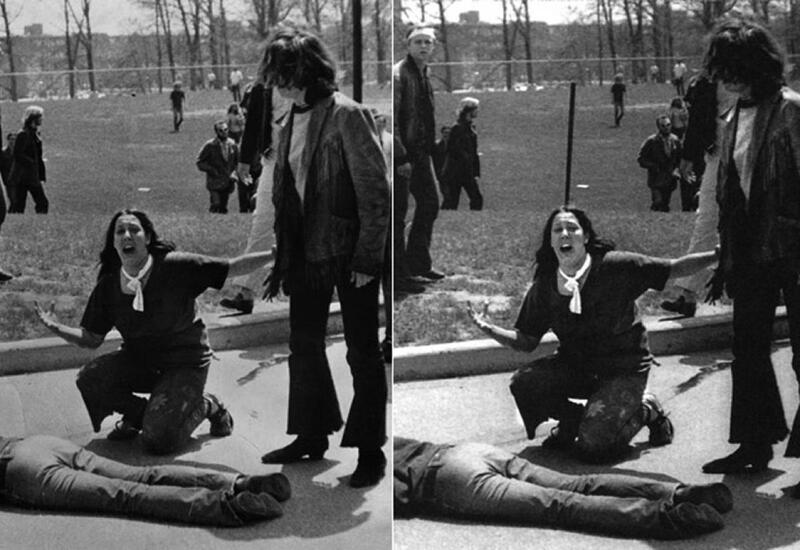 Sometimes the reason for the deliberate fakery seems not worth the effort, as when, in the days long before Photoshop, Life magazine retouched this shot of the infamous 1970 Kent State incident. Were they worried that somehow the public would assume the girl is screaming because a fence post seemed to be growing out of her head (right) in the original, and not because her friend lay dead in the street? Or: What return on investment did the publishers of TV Guide gain by grafting Oprah Winfrey’s head onto Ann-Margaret’s body? Did they think a genuine picture of Oprah would not sell as well at the check-out stand? Comfortable Lie: The “experts” know when to raise interest rates, “inject liquidity,” or otherwise enact some control over the economy. Painful Truth: An economy is an incredibly complex interaction between independent agents, the items they wish to buy and sell, and the relative scarcity of those items. “The economy” is impossible for even the most brilliant humans to understand at a level sufficient to make effective control decisions. Invariably, those that try end up making small problems bigger and big problems into disasters. They also manage to steal from us by devaluing the currency we have left after paying taxes. Consider: The humble candy bar cost a nickel a century ago, now it costs $1.25. The chocolate didn’t become 25 times more valuable in that time; our dollars have lost 75% or more of their buying power!